This is the cinnamon commonly used in the Canary Islands. This South American Peperomia smells like the famous spice. 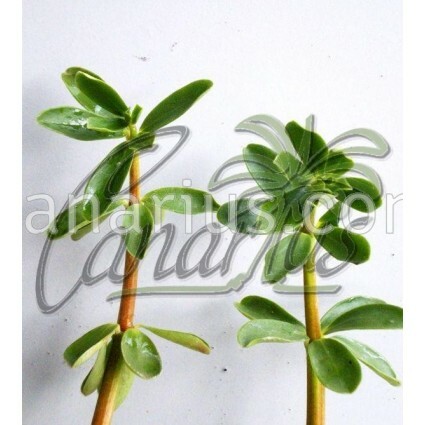 It has branching erect stems with succulent rounded leaves. It has multiple medicinal uses in South America. This is the cinnamon of the Canary Islands. This South American Peperomia smells like the famous spice. Peperomia inaequalifolia (synonym: Peperomia congona), has branching erect stems, 20-50 cm tall, with thick rounded leaves, all hairless. Pale green flowering spikes are curious addition in late summer. 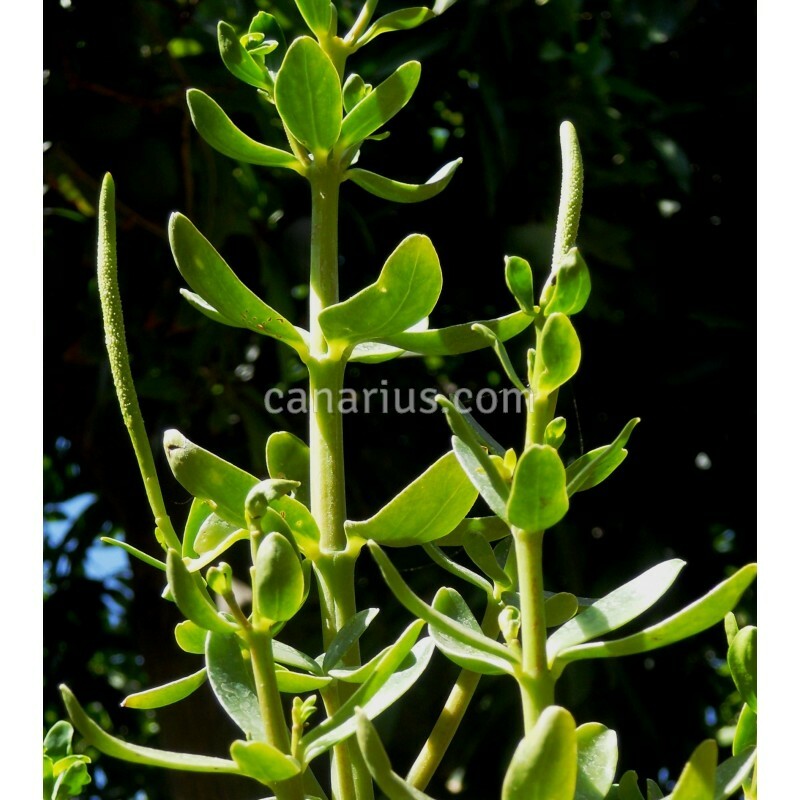 It is a common potted herb in patios and balconies of the Canary Islands. This plant was described in 1798 by Ruiz & Pavon and it is not common in cultivation, except in its native countries and in the Canaries. It is probably native to the andean region of South America but it is not known in the wild. It is commonly cultivated in Peru, Ecuador and neighbouring countries. Peperomia inaequalifolia is used throughout the Canary Islands as a herb for cooking local desserts such as rice and milk, wherever a cinnamon flavour is needed. In South America it has multiple medicinal uses. It easily grows in pots, in shade and semi-shade, in moist, drained soil. The plant may reach up to 70 cm in height but it is better to trim it low and keep below 30 cm. It is frost sensitive and it does not like hot temperatures. 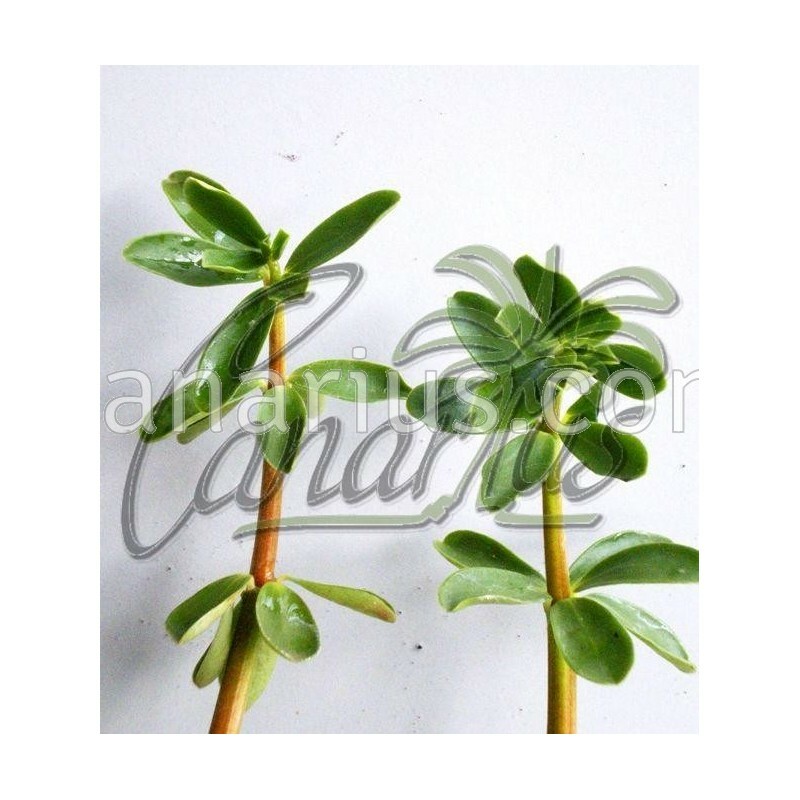 The plants offered at Canarius.com are 15-25 cm tall, branched from the base and deeply rooted. According to the season, at times we ship them potted in small 8-10 cm pots, and sometimes they are shipped bare-rooted, in sphagnum or perlite.